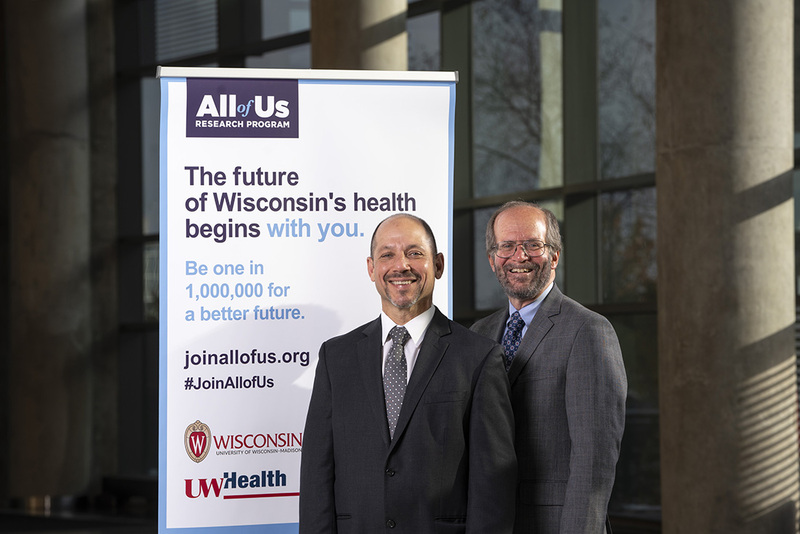 UW Health and SMPH are key partners in a massive NIH research project occurring over the next 5 years that will collect health data from 1 million individuals and contribute to the future of precision medicine. Not only is UW Health providing our expertise to support the data collection and research, but all of us also have the opportunity to become part of this historic research project by volunteering as study participants. Participants in the NIH All of Us Research Program will be asked to share their medical history and provide additional information such as blood and urine samples. The All of Us Research Program is committed to the safety of the information gathered from each participant. This research has the potential to help us better understand who gets sick and why, and might help us understand how to prevent and treat disease. To date, this is the largest and most ambitious study of this kind, with a goal of collecting data from all of the populations in our country. The NIH has selected respected, major research organizations, like the UW School of Medicine and Public Health, from across the country to partner in this project. Other partners in Wisconsin include the Medical College of Wisconsin and the Marshfield Clinic Research Institute. To find out more, visit joinallofus.org, or contact the All of Us Wisconsin UW team at allofus@hslc.wisc.edu. Our UW team will be happy to provide you with additional information and answer your questions.